Gunshot victims are five times more likely to need a blood transfusion. They also require 10 times more blood units than people involved in falls, car accidents, stabbings or other assaults, according to researchers from Johns Hopkins University in Baltimore. And they are 14 times likelier to die than the other trauma patients, the researchers concluded after analyzing 12 years of data from Maryland's state trauma registry. The investigators suggested their findings could help doctors understand demands for blood transfusion products and manage blood bank shortages. "Blood products cost a lot, come with a lot of risks for those transfused, and are scarce, so understanding what kinds of trauma are most likely to require more of them can help hospitals improve outcomes for trauma victims," said study corresponding author Dr. Steven Frank. He's a professor of anesthesiology and critical care medicine. The study found the average age of gunshot patients was 27, while the other trauma patients were older, an average of 38. Men comprised the majority of patients in both trauma groups. 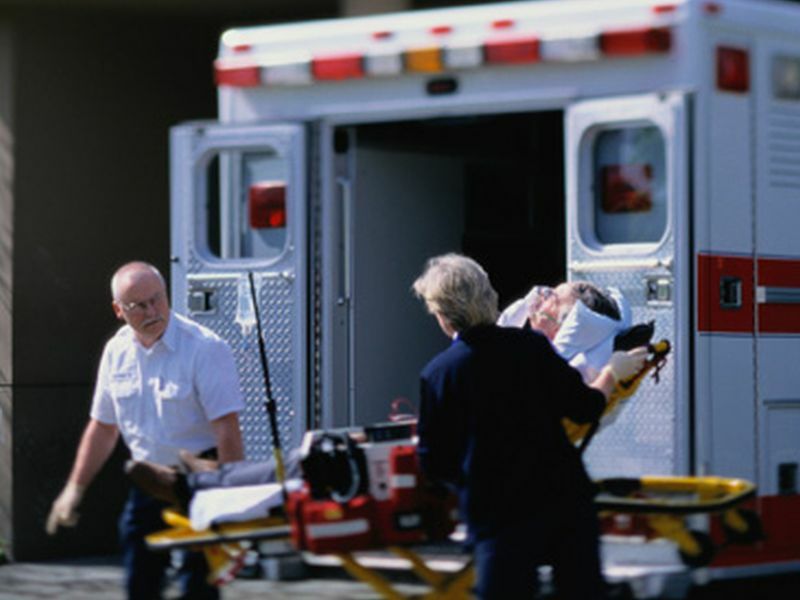 Roughly 11 percent of the 23,400 trauma patients had gunshot wounds while nearly 89 percent had other injuries. Twenty percent of gunshot victims needed blood transfusions, compared to just 3.9 percent of the other patients, the study found. Those who were shot also needed 3.3 units of blood compared to 0.31 units among the other patients. "The most likely explanation for these findings is the dramatic degree of injury severity in gunshot victims compared to all other types of trauma, including stab wounds," Frank said in a Hopkins news release. "For emergency preparedness purposes, hospitals that treat trauma need to have a sufficient amount of blood in the bank in order to treat patients coming in with gunshot wounds," Frank said. Every year in the United States, guns injure more than 116,000 people and claim more than 38,000 lives. The study was published recently in the journal Transfusion.